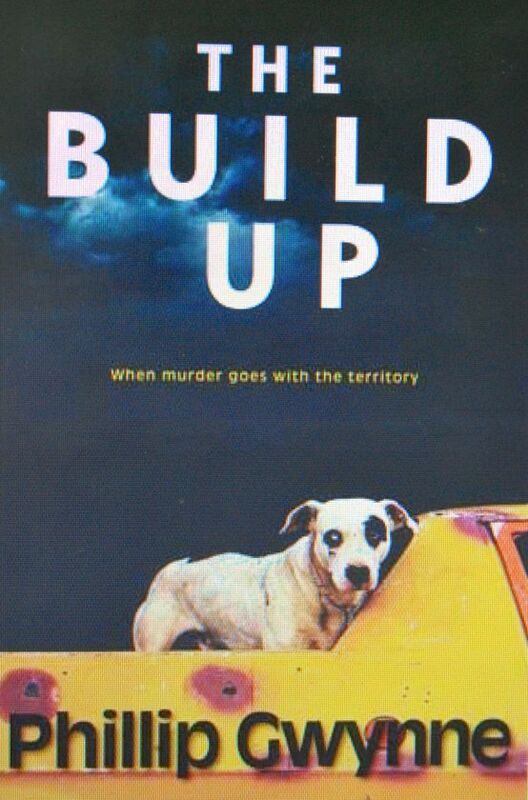 Dusty Buchanan is a Detective with the Northern Territory Police in Darwin. As the book opens a phone conversation with her over-bearing mother causes her to miss being there when a body is found in the long-running McVeigh case and so she is removed from the case. Instead she focuses on a tip-off she received from one of the blokes at the local camp for Vietnam veterans. He says his fishing line got caught on the body of a woman in the billabong. When Dusty is further isolated from her colleagues she’s forced to look to some unlikely people for help. Reading The Build Up reminded me how much fun it is to read a book with language, cultural references and the odd ‘in’ joke that only locals will understand. It’s a bit like watching one of those kids’ movies that has a few strategically placed lines especially for adults and, in me anyway, provoked the same kind of knowing smile. I love a story that provides a sense of its location and this one stamps Australia in general and Darwin in particular lovingly on every page. I share a fellow blogger’s curiousity about whether or not the book will generate interest (or understanding) outside Australia (what would they make of Up There Cazaly for example) but I am delighted that Gwynne doesn’t seem to have written with one eye (and his bank balance) on the international publishing scene. In real life and in this book crude language and political incorrectness exist alongside spectacular places and down-to-earth people you can rely on in a crisis. You have to take the good with the bad or you get neither. The build up of the title refers to the in-between period between Darwin’s two seasons: the dry and the wet. It’s a period known for provoking odd behaviour in people: suicides rates go up, other crime rates go down. Everyone is affected in some way. There’s also a build up in the way the book says what it has to say about its characters and the world they inhabit. The solving of either case, while being what drives Dusty, is almost incidental to the creation of a quite detailed picture of the place and the people who live in it. It’s an almost linear narrative but not always and the sequence in which what happens is revealed makes for deceptively powerful story telling. Just like the weather, the book teased me into thinking it was a fairly laid-back sort of a tale which left me completely unprepared for the-sucker punch of an ending. Gwynne has created some truly memorable characters here. Dusty is the only human who is fully fleshed out (the other character that receives the full treatment is the Northern Territory itself) and she is terrific. She’s imperfect but not cripplingly so and is smart, funny and the sort of copper I hope there are plenty of. The rest of the people are generally quite brilliantly depicted via fairly brief but very descriptive scenes. No amount of extra words could have created a better image of a bloke called Trigger than a scene in which he can’t perform with a prostitute unless she’s wearing the football jumper of the player he believed responsible for his sidelining from the game he adored. As often happens when I read the best ‘crime’ fiction I again thought about how genre labels ruin reading. They set silly expectations and make people worry about unimportant things when what really, really matters is for a book to capture a reader’s heart and imagination. If a book spirits you away for a while or makes you think about things in a different way, if only for a moment, then does it matter how many of the genre tick-boxes it gets right? This book should be required reading for Aussies and while I’m not sure it’ll make complete sense to the rest of you I’d recommend you try (and I’ll happily provide translations and explanations if required). Pan Macmillan Australia, 2008, ISBN 978-1-4050-3849-2, 339 pages. It is late September, and the Wet is coming to Darwin. Or rather the Build Up is happening. The temperatures and the humidity are rising, every day just a little more. 33 year old Detective Dusty Buchanon of the NT Police Force is originally from Adelaide. Until recently she had a boyfrined. Now she doesn’t. Dusty has been working on the McVeigh case for nearly two years. Now a body has been found in the desert and it is almost certainly the abducted woman. But Dusty’s new boss has decided to take her off the case. Even before the body had been found, a case had been brought against a suspect, but he walked free. But the Top End is never long without crime. Two weeks later there are rumours of a female body in a billabong. The location is very near a Vietnam Veterans bush camp, but when Dusty and her partner investigate there is nothing to see. Still the rumours persist, and when Dusty eventually locates a body buried near the billabong it is male not female. There is a lot to like about THE BUILD UP. If you’ve ever been to Darwin you’ll recognise the names of streets and cafes, and somehow Gwynne has captured the essence of the place. I felt as if culturally I had been dropped right in it. And there are some wonderfully drawn characters including Dusty herself, newcomer Flick Roberts-Thomson, ex-footballer Trigger Tregenza, the Dutch policeman Tomasz, Viet veteran Barry O’Loughlin, and Trace born as the cyclone raged. Dusty seems to move effortlessly through a number of communities: the itinerant aborigines who camp in the parklands around Darwin; conversing in Indonesian with waiters in restaurants. It is not just the interesting characters he draws though. Gwynne writes in a language that feels at once local and authentic. I couldn’t help wondering whether the book will have much appeal outside Australia. Are there too many idioms that will puzzle? There are references to cases like Azaria Chamberlain, places like the Emerald City – I wonder what a non-Australian reader will make of that? Perhaps it won’t matter. 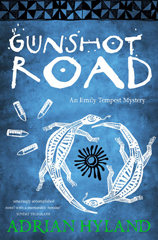 If you read Australian crime fiction, then this is certainly a book to look for. 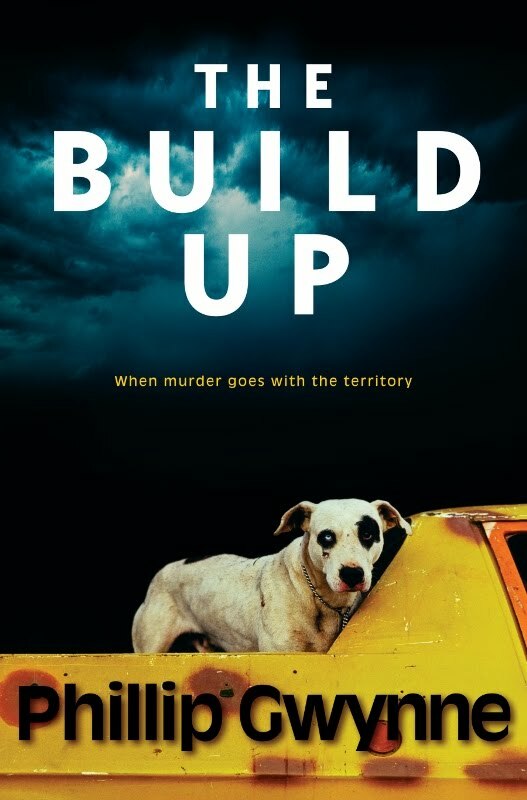 THE BUILD UP has been shortlisted for the 2009 Ned Kelly Awards. SBS have announced that they will be making a 13 part television series set in the Top End, in and around Darwin. Titled Dusty, the show will follow the trials of the crime-fighting police detective working in the self-styled ‘capital of the second chance’.